ROOMS SELLING FAST! HURRY — EASTER ROOMS SELLING FAST! We have a selection of Resort accommodation for you and your family. From the Chessington Resort Hotel to discovering the great outdoors with Explorer Glamping. Discover our range of standard and themed rooms at the Chessington Resort Hotel or discover the great outdoors with an Explorer Glamping stay. Choose from our selection of hand-picked 3 and 4 star partner hotels. Choose from our selection of hand-picked nearby 3 and 4 star hotels. There's something for everyone! Book a stay in one of our Explorer Glamping Tents and save up to 30% with your Merlin Annual Pass! Hurry — offer ends midnight Monday 22nd April! Book a stay in one of our Explorer Glamping Tents and save up to 30% with your Merlin Annual Pass! Don't miss out on this roarsome offer — book before midnight 22nd April! All inclusive! All inclusive wild weekend! Experience the Ultimate All Inclusive short break! Enjoy a 2 night stay, 2 days in the Theme Park, plus so much more! Experience the Ultimate All Inclusive short break! 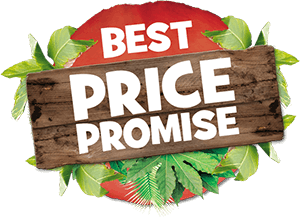 Includes a family Go Ape adventure, 2 days in the Theme Park, breakfast, lunch and dinner on both days, plus so much more! Experience the Chessington Resort Hotel with a Splash and Stay package. Explore the Wanyama Village and Reserve with your own little monkeys! Experience the Chessington Resort Hotel with a Splash and Stay package. Explore the Wanyama Village and Reserve with your own little monkeys! Perfect for families, enjoy a roarsome Zootastic Sleepover on the 8th, 9th, 10th, 15th, 16th, 17th, 22nd, 23rd November 2019! Packages include entry into the Zoo and SEA LIFE centre and an overnight stay! Zootastic Sleepovers are back on the 8th, 9th, 10th, 15th, 16th, 17th, 22nd, 23rd November 2019! Packages include entry into the Zoo and SEA LIFE centre, an overnight stay, breakfast and more! Don't miss out on our latest news, events and offers — sign up to receive emails from Chessington Holidays and the Merlin Entertainments Group today! Terms and conditions apply. Offers and events subject to change and availability. Height and weight restrictions apply, please click here for full terms and conditions.